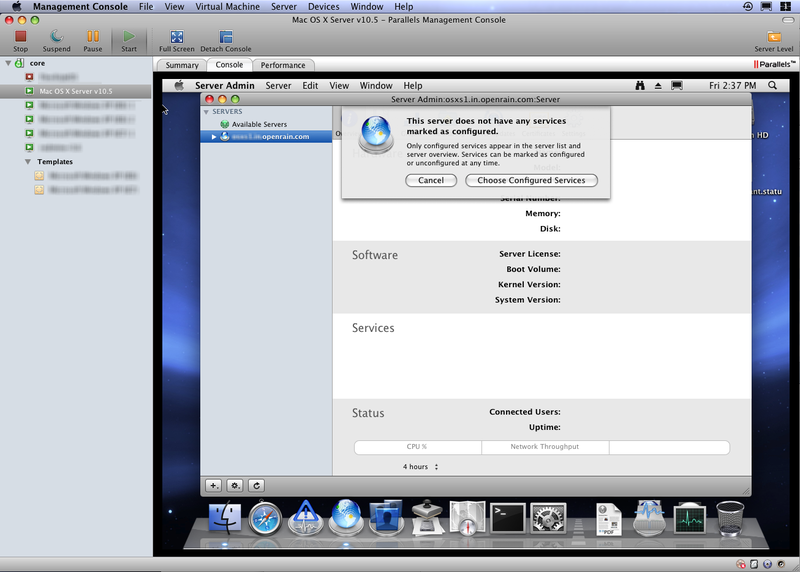 Apple now allow you to virtualize OS X Server instances. While your virtualization options are limited, it’s very easy to set up on your existing OS X Server. 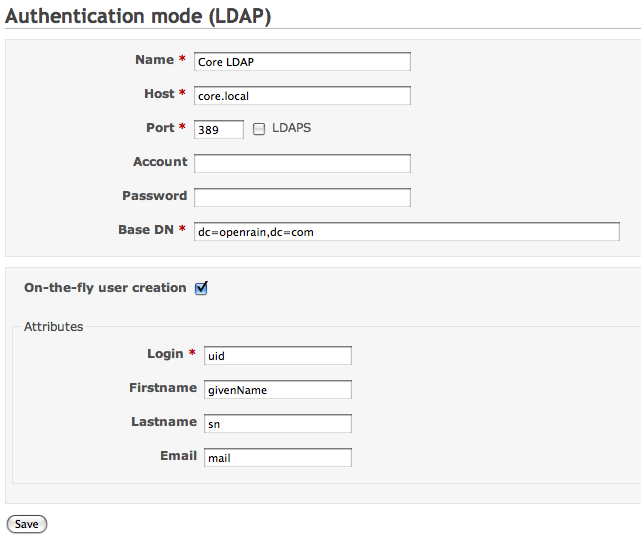 This is an virtualized OS X Leopard Server guest running in Parallels Server on a host OS X Leopard Server. You can see that the guest system is treated similarly to other Windows and Linux VMs in the Parallels Management Console. Note that a distinct serial number/license seems to be required. 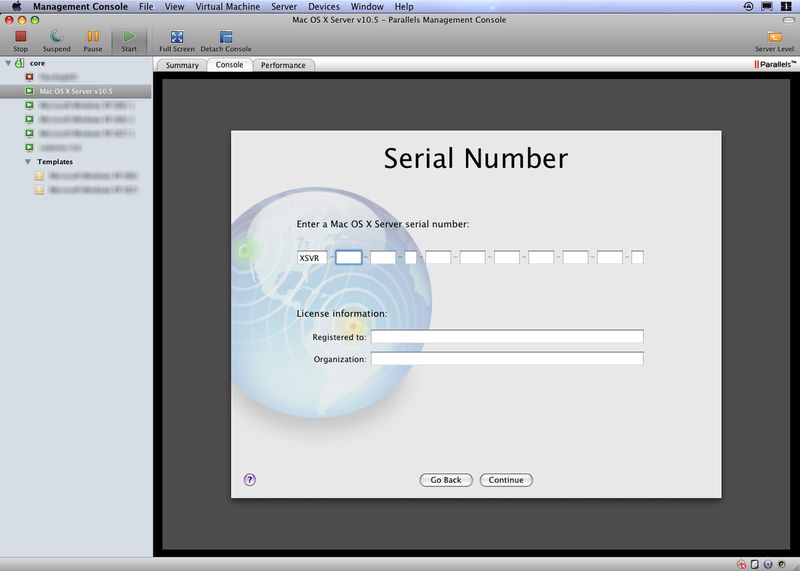 The serial number for the host machine will not validate (I thought Apple was going to allow one VM instance??? ), so to use the sweet service configuration tools available in Server Admin, it appears you’ll need a separate license for now. After a few grumpy emails between myself and our Account Manager, I’m happy to report that we have purchased the GA release and it’s working well. If you are using Parallels Server for internal development purposes and not for hosting, they will extend a more reasonable price per machine: $200 + $50/year maintenance. I think that’s a very reasonable price point for our usage, and am happy to pay it. This likely has more to do with meeting end-of-Q2 sales quotas than attracting my dinky business, but regardless, a win is a win! Thanks!